Simon joined Harrison Drury in 2013. He deals with many aspects of commercial property, development set-up, estate matters and acquisitions and disposals of real estate (freehold and leasehold and sale and lease backs) and other assets (including boats and yachts). He deals with funding and borrowing by way of security on real estate and other assets (including Marine finance). He also advises on matters of adverse possession and acquired rights over land and property. Simon is a specialist in landlord and tenant matters. He acts for a wide range of clients including high profile individuals and national companies, retailers, investors, developers, financial institutions, charitable organisations and trusts, pension companies, public sector, educational institutions, estates owners and sporting and leisure organisations and clubs and has particular expertise in the manufacturing sector. 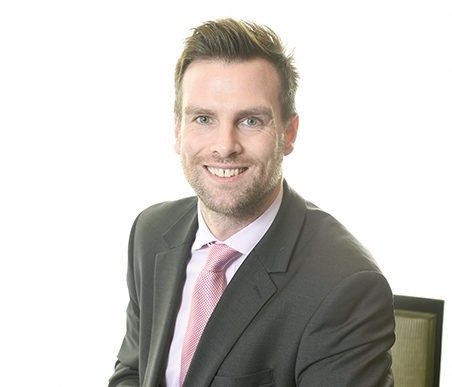 Simon graduated from the University of Stirling with B.A Honours in Business Law and Marketing and completed his Post Graduate Diploma in Law and Legal Practice Course at the College of Law in Chester. Simon is a sports fanatic – whether football, rugby, F1, tennis, athletics, yachting, sumo – if it’s on Sky Sports (even Sky Sports 4) he’ll watch it, preferably in licensed premises.